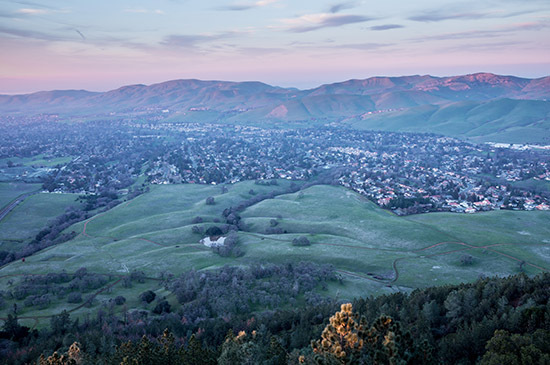 East Bay Area Real Estate • Contra Costa & East Bay Real Estate • Turnbloom & Associates, Inc.
Martinez, CA, Contra Costa County and the surrounding East Bay Area are beautiful locations to call home with lot’s of diversity and year round activities to do at any age! An ideal location central to beaches, mountains, cities and transit makes this a special location to live, work and play. Martinez is a small-feel community (Bocce anyone?) with a big past including being one of the oldest cities in California before California became a state . The changing topography offers water and Benicia Bridge views from old downtown, with darling cottage and Victorian neighborhoods, bedroom communities boarding popular Pleasant Hill to stunning Alhambra Valley with multi-million dollar estates. It’s one of only a few areas left in Central Contra Costa County left that offer more affordable housing options. Concord is another popular location for first time buyers who use BART or a plane (yes there is an airport!) to commute. The East Bay is a great place to locate both grand and more affordable homes. We are seeing some big changes in what once was perceived as less desirable areas to live in. As the need for housing and rental markets increase, these locations are now increasing in value as more owner-occupied homes are being improved and small businesses are opening shops in these more affordable rental markets. Oakland is a great example of this. California has recently adopted new laws to conserve water and energy resources, one of the strictest in the nation. Committed to reducing our footprint on our beautiful state, this includes preservation and recycling building materials. Many home and landscape designers have come up with cutting edge and beautiful designs that are benchmarks for other states. It’s exciting to be part of the process! We’d like to share with you some of the special benefits of just a few of the cities that we love to work in! Visit our neighborhoods page for more information. We appreciate feedback so if you want us to add a city or a special feature about any of existing neighborhoods, let us know!